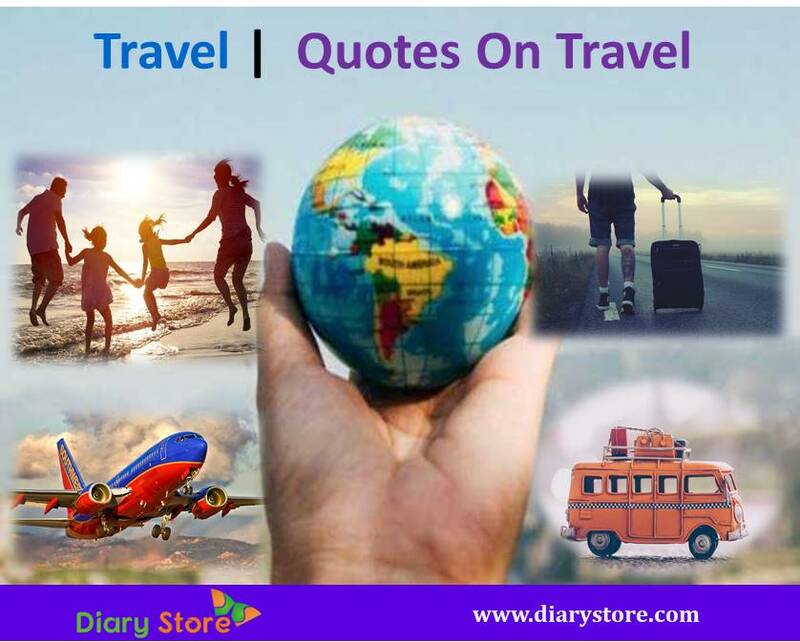 Travel - When we set out on a picnic or a journey with our family members, we get a good opportunity to exchange mutual affection, extend personal care to one another and we experience a hearty feeling of togetherness which we seldom get during normal routine daily life. An occasional outing with family members is absolutely necessary to have the much-needed break from the ever-existing laborious monotony. It offers a comfortable relief to mind and body; it reinvigorates the worn-out haggard self. In order that a picnic with family members/relatives and friends is to be a memorable lovely experience, a proper advance planning for the trip should be done to avoid the last minute or unforeseen inconveniences. Before deciding on the destination of outing or travel, it is always advisable to sit together with all the members, including children, discuss the various options of places that suit the preferences of all the members in the family. Find out if any vacation packages are offered by tour operators. Ensure that the place of your visit is worth the visit during the season you want to embark on. If the place of visit does not match the wishes of all the members, it is better to give in to a slight compromise. Same is the case with the mode of transport, class of travel and the type of accommodation, if the place of visit happens to be far away from your regular stay. In the case of outstation destinations, tickets of travel, hotel rooms (as per your requirement) need to be reserved and duly confirmed. Make it a point to include in the baggage the essential items like portable foldable light-weight chairs, hammocks to be hung between two vertical tree-stems/poles, flexible hula-hoops, sunglasses, sun screen lotion, waterproof shoes, a pack of sufficient number of mineral water bottles, ice-pails, towels, napkins, disposable eco-friendly plates and glasses, skipping ropes, volleyball / throw ball with makeshift nets (plastic nets with dismantling poles with stable bases are available in the market) etc. If it is possible to go by road and the distance is not very large, you may go in your own vehicles or book private mini-vans since you can halt wherever you want and relax as long as you need. When the group of members is not very big, you may opt for going in one or two separate small vehicles. Since the trip is mainly intended for enjoying yourselves, you may consider travelling in makeshift open-top vehicles (if the weather permits) and even the wind-shield in front of the driver can be made to rest horizontally on the bonnet of the engine, if the journey is taken up on a non-raining day. This would cause a certain amount of discomfiture for the driver as well as for the people sitting beside him, due to heavy gushing flood of wind from the opposite side; this also requires the vehicle to move at slower speeds to lessen the erosive friction by the opposing wind. However, the actual sense of enjoying the surroundings is more touchingly felt when there are fewer obstacles that obstruct our full view during the journey. This is the very reason we find very large glass window-panes in luxurious high class train compartments, Volvo buses etc. ; in some highly short trip vehicles that move around within a small neighbourhood, the window glasses are totally absent to enable the visitors to have the unobstructed view of the surroundings. In some highly developed nations or in the case of certain internationally famous tourist countries, where care is taken to ensure maximum satisfaction to tourists, there are sightseeing local buses with a top deck fully open-to-sky (without roof). If the itinerary includes a huge waterbody like a river or a sea, a similar sense of enjoyment is felt by the viewers sitting close to the fence-like banister in a moving boat/ship because they can watch panoramic view of seascape and the undulating waves. ln countries like USA, even people coming from different parts of the country bring along with themselves their own yatches/personal kayaks towed to their automobiles to sail in their choicest rivers or seas. If your destination happens to be a distant place overseas, devote a good amount of time for studying the geographical, historical and cultural features of the location. The most important aspect of international trips is the availability of the food that suits you. Ensure doubly yourself and ascertain thoroughly about the suitable food at the place of your visit. Make your own arrangements to extinguish the pangs of appetite. Otherwise, making do with whatever is available would be surely an unbearable ordeal. Since any destination in a foreign country is governed by local rules of government, you’d better be conversant with the internal rules of the country including the immigrant rules for tourists on a temporary brief trip. Remember to keep with you a set of medicines to treat yourselves for the possible simple indispositions like headache, cold, fever, body pains etc. A ride on a helicopter is far more enjoyable than flying in an aeroplane since travellers get a very small view through a narrow disc-like window in aeroplanes, no matter how big the plane may be. Wherever possible, try to utilise the services of helicopter if the fares are in your affordable range. The veritable feel of true flying is definitely sensed in the co-pilot seat in the cockpit of a helicopter (or even the highly elevated seats behind the pilot, for that matter) and it offers the best view through the glass dome to savour completely the beauty of places beneath and around you. However, there is still a better alternative to watch the surroundings more closely in addition to having a bird’s eye view. If the picnic spot is naturally endowed with high altitude mountains, wide landscapes or lakes and if the people in your team are sport-savvy, make efforts well in advance to attain the required extent of physical fitness before the onset of the journey and try the activities like hand-gliding, para-gliding, para-sailing etc., as per the preference of individual members in your group. Under the guidance of reliable expert trainers, while you are airborne during hand-gliding, para-gliding or para-sailing, the extent of enjoyment you get is far superior to what you get in a helicopter ride because you begin to feel actually like a superman ! All you have to do while you are totally out of physical touch with the ground or water, is just imagine yourself sincerely like a bird which does not unnecessarily flap its fully stretched wide wings during the flight. The enjoyment is both physical as well psychological. If you are totally new to the activity, you might feel a bit odd in the beginning. Once you get habituated to it, the pleasure you get will be incomparable and absolutely awesome !!! For beginners, this entire activity might look a little riskier and in the case of some people the sense of fear overweighs the sense of enjoyment. This is recommended for the people with mental inclination to sneak for pleasure in the activity. In a measure of promoting tourism, the middle-east countries like Dubai are deliberately increasing the scope for visitors to fly above the water surfaces with a very simple minimal equipment attached on the backbones of enthusiastic tourists as in the case of free style Fly board, X-jetpack and X-jet blade…The very first few flights may not be as exciting as expected for beginners. Once you are used to it, your joy knows no bounds !! And for your enjoyment, sky is the limit !!! At the end, here is a golden piece of advice you cannot afford to ignore ! Before the beginning of the journey, prepare a written list of the articles you take along with you, keep verifying from time to time that they are not misplaced/lost anywhere during the different stages of transit or sojourn; and while commencing the return journey, do not hesitate to countercheck to verify that all the personal belongings of all the people in your group, including the number of bags in your group are brought back home safely. 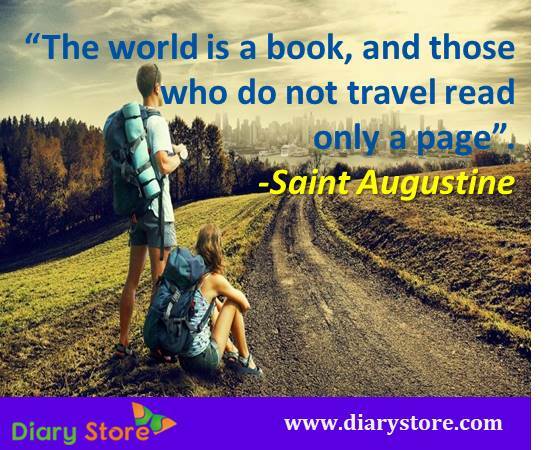 WISH YOU A JOYFUL, MEMORABLE AND SAFE JOURNEY ! 6. Nobel Prizes: Wrong Death News Ushers in Birth of Nobel Prizes !!! I love to travel. I'm a curious person. Good-quality travel and good-quality food are the two luxuries that I never have any guilt indulging in.